Following a career-best performance in Edinburgh last weekend to win the IBO Inter-Continental strap, Chantelle Cameron (4-0-0) will now face Viviane Obenauf (12-3-0) for the IBO World Lightweight title on December 2nd at Leicester Arena. 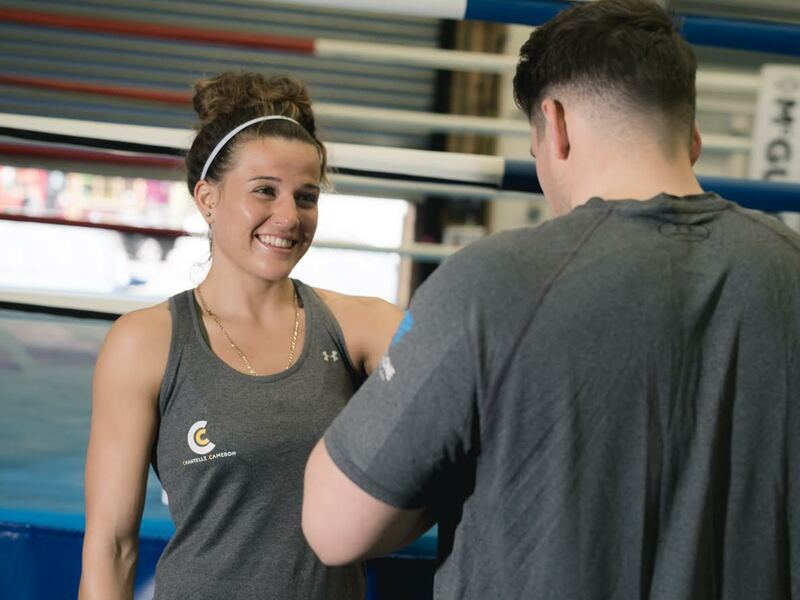 Cameron has made no secret of her lofty ambitions – often expressing her desire to clean up both the Super Featherweight and Lightweight divisions, and a win against proven operator Obenauf will take the Northampton contender one step closer to her mulit-belt dreams. Victory could pave the way for a potential unification bout in early 2018, and ‘The Outlaw’ will be looking finish her maiden year in the pro ranks in sensational fashion on December 2nd. The Swiss-based Obenauf will be looking to spoil the party at the Leicester Arena, however, as she looks to satisfy her own world title desires. Having bounced back from a points defeat at the hands of Ireland’s newly-crowned WBA Lightweight champion Katie Taylor in late 2016, Obenauf found herself unlucky to be on the wrong end of a split decision loss to Polish star Ewa Brodnicka in June – a fight many felt she had done more than enough to win. She has notched up two flawless wins since, and now hopes to make waves in the Lightweight division by claiming her first world title. The world title bout comes as part of a stellar night of boxing at the Leicester Arena, which will be shown live exclusively on 5Spike and Channel 5, sponsored by Maxi-Nutrition, Ladbrokes and Voltarol. Anthony Yigit (20-0-1) takes on Joe Hughes (15-2-1) for the EBU Super Lightweight title, and newly-crowned Commonwealth Cruiserweight King Luke Watkins (12-0-0) makes his first defence against Merseyside’s teak-tough Mike Stafford (16-3-0). There’s also a Midlands derby on the bill, as local lad Jahmaine Smyle (14-6-2) takes on Lennox Clarke (15-0-1) for the IBO Continental Super Middleweight title in what could well be a Fight of the Night contender. Cyclone prospects Chris Billam-Smith (3-0-0) and Lee McGregor (1-0-0) also feature, as they continue their exciting respective journeys. OR CALL 0844 844 0444.